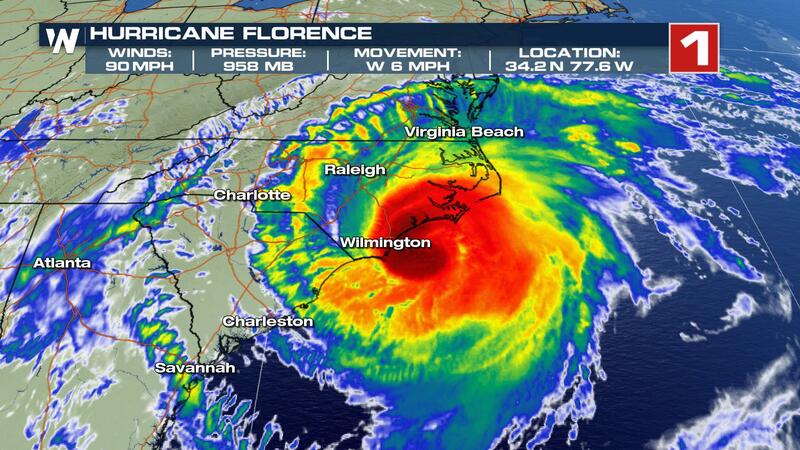 Early Friday morning, Hurricane Florence made landfall as a Cat-1 hurricane over the N Carolina coast. 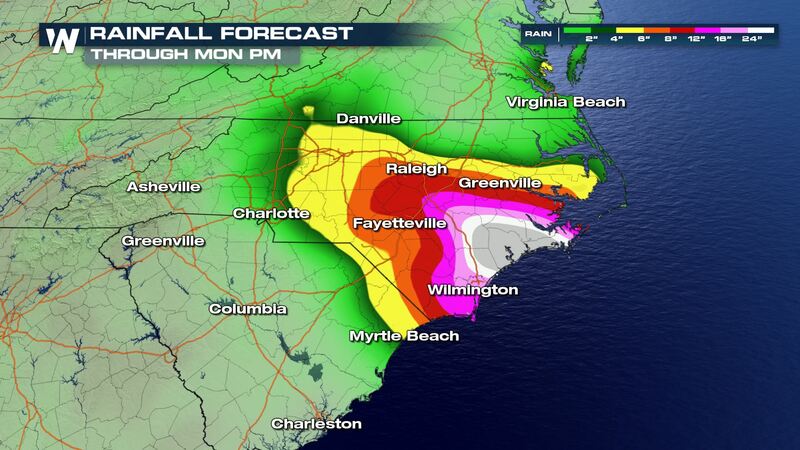 The storm’s eye passed right over Topsail Beach, that’s between Wilmington and Jacksonville, with 90 mph winds and heavy rain. 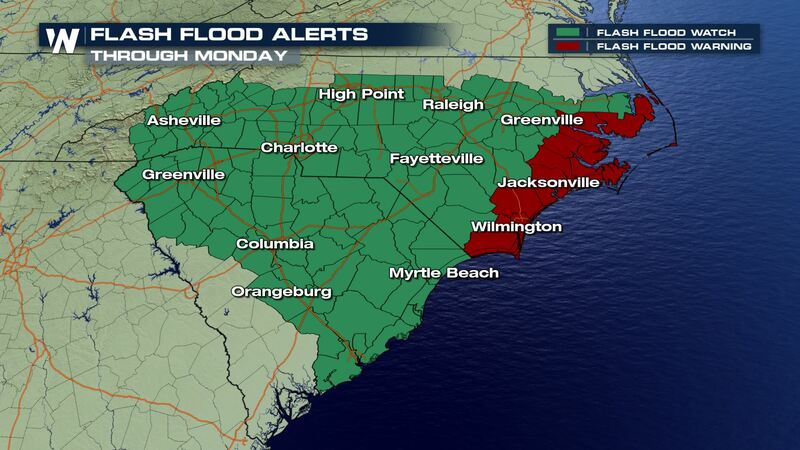 Flooding is a huge concern with this slow moving storm. 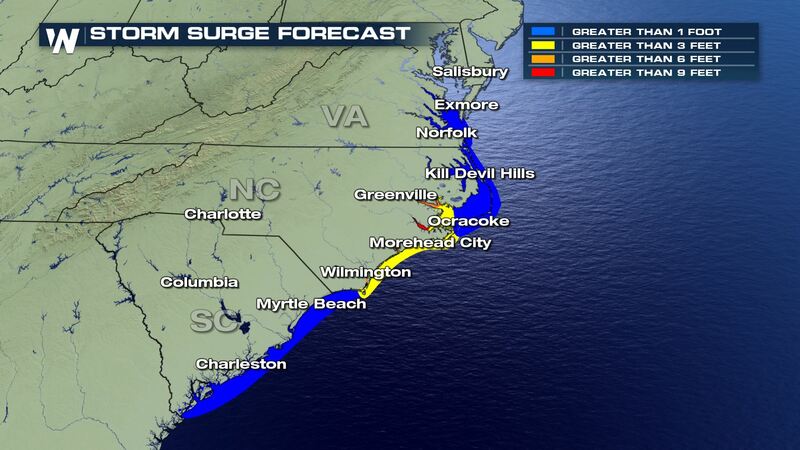 Heavy rain continues to fall over the Carolinas along with a threat for continued storm surge. 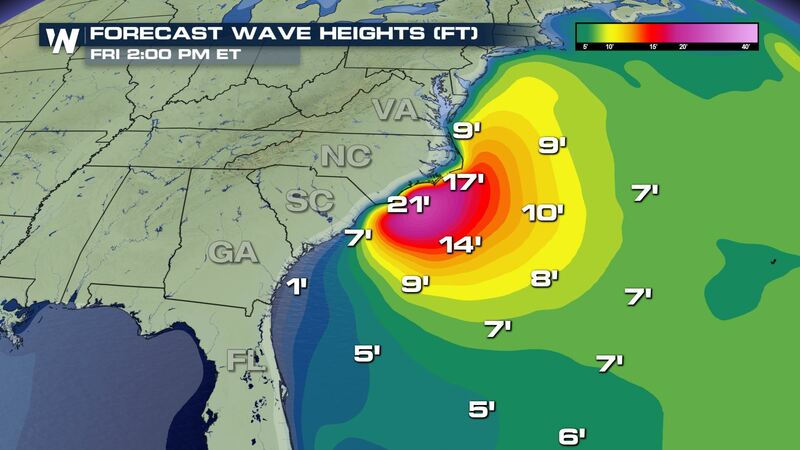 Wave heights remain high along the N Carolina coast today, forecast to reach up to around 25′. 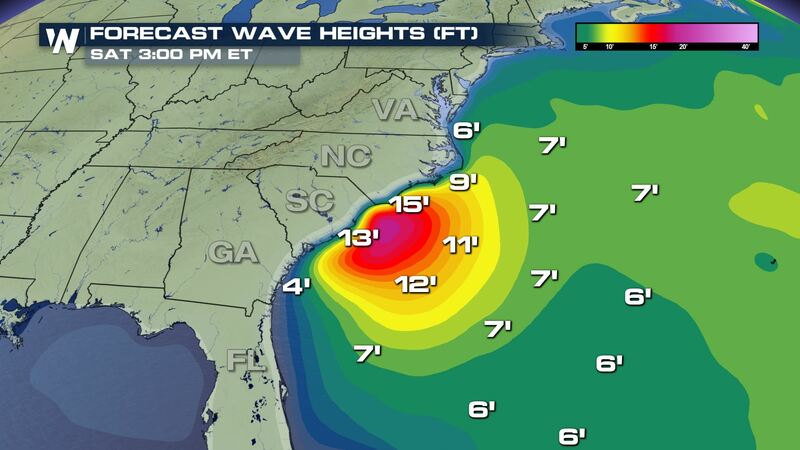 They subside and turn a focus to the S Carolina coast Saturday with forecast heights of about 15′. The storm will continue to slowly move inland this weekend bringing heavy rain and a flood threat into the start of the work week. Totals will be measured in feet for many areas after this storm is done.